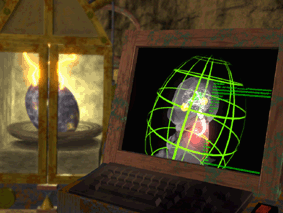 Within each of the Creatures games, an incubator has been provided. The incubator allows for the rapid hatching of Creature eggs rather than the slower, natural process. Incubators can be used with eggs that have laid naturally or those that have been injected from an egg layer machine. When the population limit is met in a world, the Incubator will close and become unusable until a Norn dies or is exported. Rocker the cot - the Creatures Village incubator. This page was last modified on 16 September 2018, at 20:56.